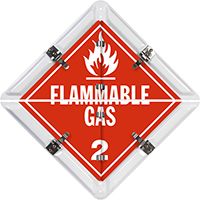 Flammable placard set is “split” – a great feature for roll-up doors or corrugated surfaces. Placard system meets DOT specifications. 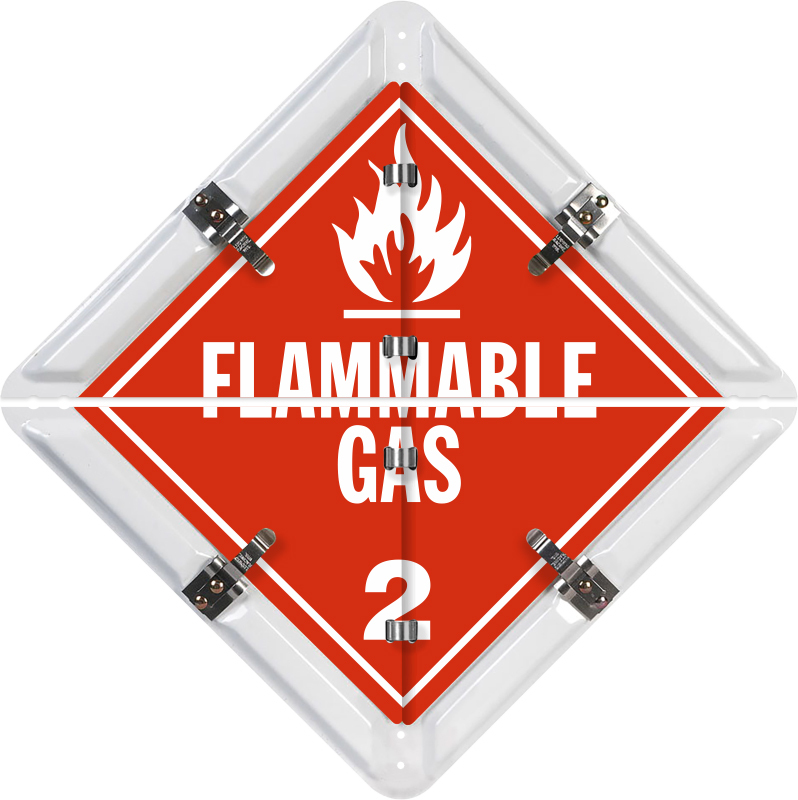 • Placard system is used by welders, flammable and gas storage facilities, flammable areas for medical facilities and gas haulers. • Placard and panels are made from 32 mil thick aluminum. This heavy-weight construction is thicker and more durable than those sold by others. Back plate is coated with a baked-on white polyester layer for longevity.